Now let’s talk about some of the films I loved in 2018.. umm starting at # 10. I loved Stan & Ollie, with Steve Coogan as Stan Laurel being bested, if possible by John C Reilly’s performance as Oliver Hardy, which I never thought Reilly had in him. He certainly had it on him, as the makeup people loaded half a hog into his jowls and fat suit to plump him up for the part. But it was John C. who animated the deep fatigue in an old vaudevillian’s face. You don’t need to know that Stan & Ollie ran riot in Hollywood in the 30s and 40s to be moved by this story about old white guys in the workplace, but it adds to the quiet, stylish interpretation of men grappling with their love for one another. Similarly, Ryan Gosling’s quietly compressed first man on the moon astronaut, Neal Armstrong, in Damian Chazelle’ First Man caught the fear of inner space as equal to or maybe more than that of outer space. Chazelle uses Gosling here nearly mute better than on the piano in La La Land, in part because Gosling is made for close-ups. His Armstrong is internal and very nearly a silent film character, certainly most comfortable in the vacuum of . I also loved the film’s counterpoint: what America once meant to the world then vs now, as the first of the last pioneers grappled with what it means to be home. No more fun to be had this year than in Bo Burnham’s Eighth Grade, a smart take on the fresh hell of middle school in the burbs, with a killer performance by Elsie Fisher, as the geeky disrupter. As her character, Kayla, signs off on Youtube, “Gucci” on this one. I’ve thought long and hard on The Coen Boys The Ballad of Buster Scruggs, six short stories leading to a finale that brings them all together. It’s made impeccably, of course, beyond beautiful to look at, dryly funny, as arch as the rock formations of Utah. With a cast of watchables, from Tim Blake Nelson who opens, through Zoe Kazan, Brendan Gleeson, especially Tom Waits as a gold prospector, Liam Neeson, Tyne Daly, Saul Rubinek. In Capernaum, Lebanese director Nadine Labaki took a giant leap up career-wise from the genial comedy of Caramel set in a Beirut hair salon to this story about kids trying to survive something more than war, a collapsed medieval hell. Some critics thought the street kid Labaki found was too pretty, which no one ever says about Ryan Gosling. Astonishing at every turn. I loved Can You Ever Forgive Me, when I saw it in Toronto. Melissa McCarthy went completely serious as the late journalist and celebrity profiler Lee Israel – who died at 75 in 2014. Ironically, McCarthy has never been funnier. Based on Israel’s 2008 memoir-confessional about her life of petty literary larceny, director Marielle Heller’s film, from Nicile Holofcenr’s script lands in NYC in 1991, as Israel took to forging new letters from dead writers in their own voice to pay the bills. Her Dorothy Parker letter—which closes with the title apology--is as funny as Dot ever was. Israel palms the forgeries off on the antiquities market, which the film has a field day decimating, along with the publishing cartel. McCarthy replaced Julianne Moore in the role, and is paired with Richard E Grant as her front man, the appropriately named Jack Hock, ever so delicately managing his wit and shabby elegance in the face of his advancing AIDS. My prize for 2018’s best screen chemistry, period, paragraph. I loved Ali Abassi’s Border, a strange little film set at a customs checkpoint in Malmo, Sweden, when a troll female customs agent has her world rocked by a troll traveler passing her way. You’re a fly on the wall, watch her sniff fear until she runs into troll love. There’s a great double bill for you in Barry Jenkins’ If Beale Street Could Talk and George Tillman Jr.’s direction of Angie Thomas’ book, The Hate You Give. Taken together, they trace the arc of how the line of judicial racism has fast forwarded from the slow grinding of the race-based courtroom conviction to today’s innocent traffic stop, conviction for driving while black and execution on the blacktop. Performances and scene-setting are top notch in both. The top two, are both in black and white. Cold War is by Polish director Pawel Pawlikowski, and follows up his masterful Oscar winning Ida of a few years ago. It begins in 1949 Poland between a music teacher turned Socialist concert impresario and a hot little minx of a singer, who wreck everything and everyone in sight until they finally work it out how to be a couple in the West 15 years later. Dedicated to the director’s parents, who lived it, I’d have given this the top prize at Cannes, where Pawlikowski was named best director. 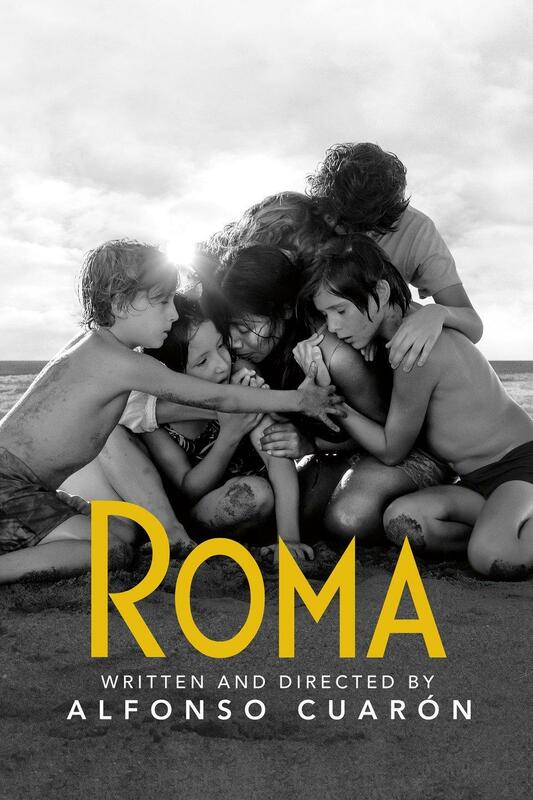 And, of course, Roma, Alfonso Cuaron’s memoir of growing up in 1970s Mexico City, as his parents’ marriage comes undone. Cuaron centers on the family nanny, Cleo, played by Yalitza Aparicio, a country girl who never acted before. Roma bestows on Cleo gratitude and appreciation for her Zen enlightenment as Mexico City, like Roma, was burning. Nanny to nanny, I’ll take Cuaron’s 65 mm digital black and white to Mary Poppins Returns saccharine color doodle any year. 2018 has been an extraordinary year, so much to like. May some part of the Old World Order restore itself in 2019 and bring us great movies. May the world outside the movies in 2019, however, be calm and dry up the swamp for material in 2020. When we all shall have perfect vision.